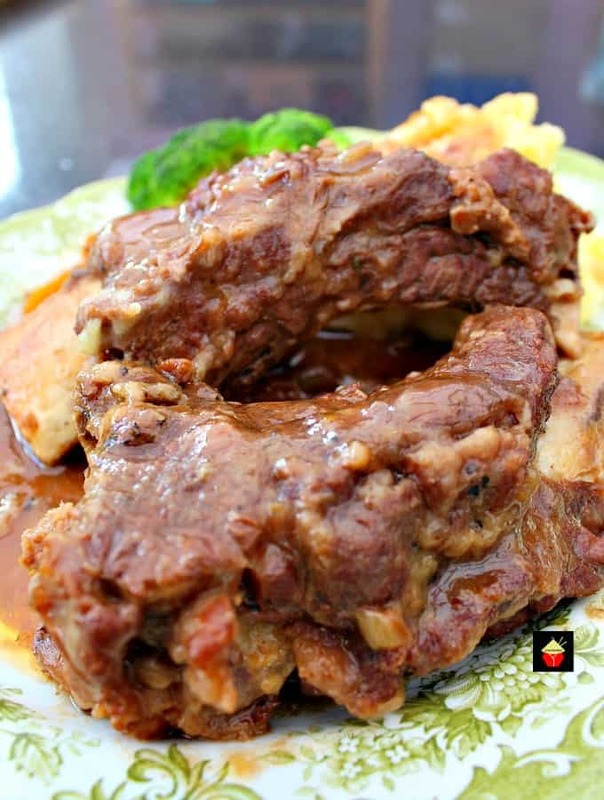 Best Ever Slow Cooker Beef Ribs.Fall off the bone, tender ribs of beef slow cooked in a delicious sauce and simply melts in your mouth. 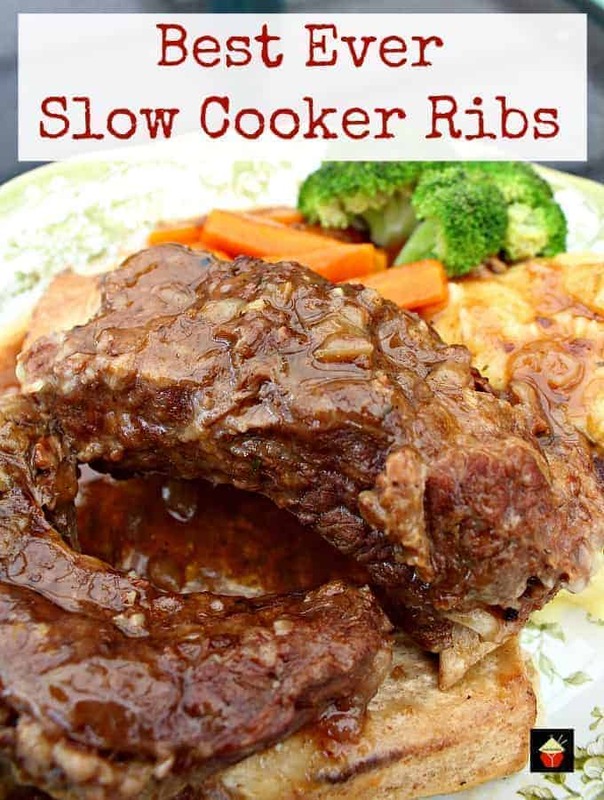 Best Ever Slow Cooker Beef Ribs! Oh boy! These beef ribs are an absolute drooler! 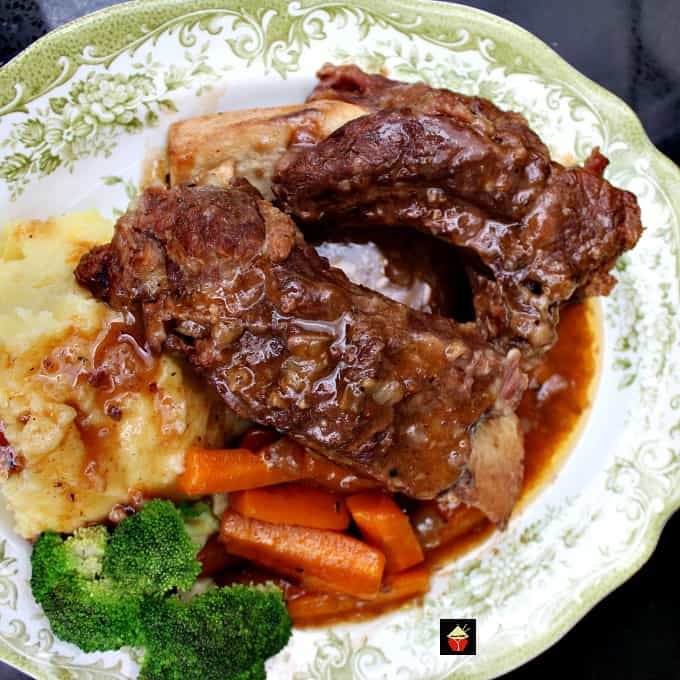 I’ve called this recipe Best Ever Slow Cooker Beef Ribs simply because they really are the BEST EVER! The flavor and texture is out of this world. For this recipe, I’ve combined several flavors from herbs and spices, added some honey (that is what is giving those ribs the beautiful glaze you see in the photos), and cooked these nice and slow in the crockpot. In the recipe, I give you instructions if you wish to cook in the oven too. In the UK, beef ribs are incredibly cheap. I have no idea why but I’m not complaining! It seems the butchers and supermarkets see these are ‘left over’ bones and can’t sell them so the price is very very low. As you can see on the ribs I’ve used, there is a lot of meat and marbling of the fat which gives the ribs a lovely flavor and is as tender as they come. I’ve cooked these just in the oven, baked with some olive oil and balsamic vinegar for about 30 minutes to test for tenderness and they are as tender as a rib eye steak! Depending on the size of the ribs you have, make sure they will fit in your slow cooker (some butchers leave them huge so ask them to cut them down!). You can gauge about 1 – 2 ribs per person, depending on their size. You know your family’s appetite best so you judge the amount they will eat! 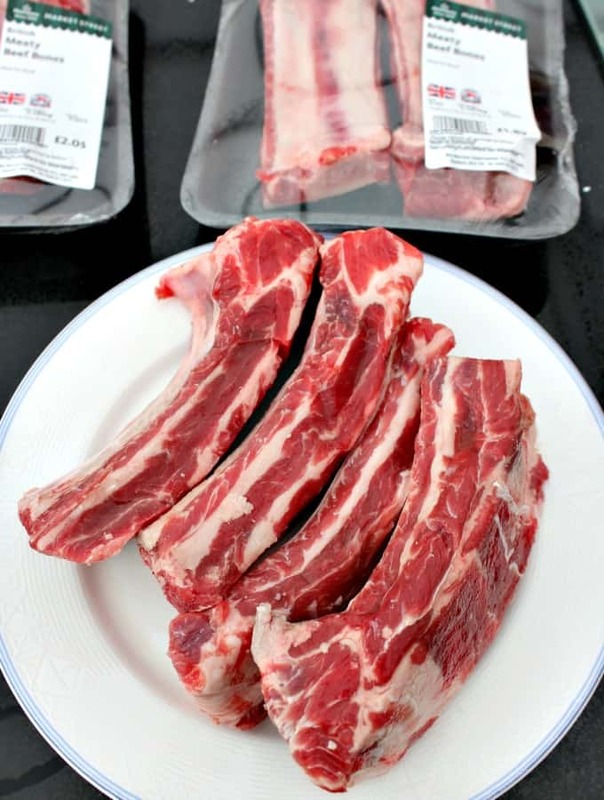 Of course, when meat is cooked on the bone, particularly beef, you get the flavor from the bone, the marrow and so on, and that all contributes to the flavor of the best ever slow cooked beef ribs. 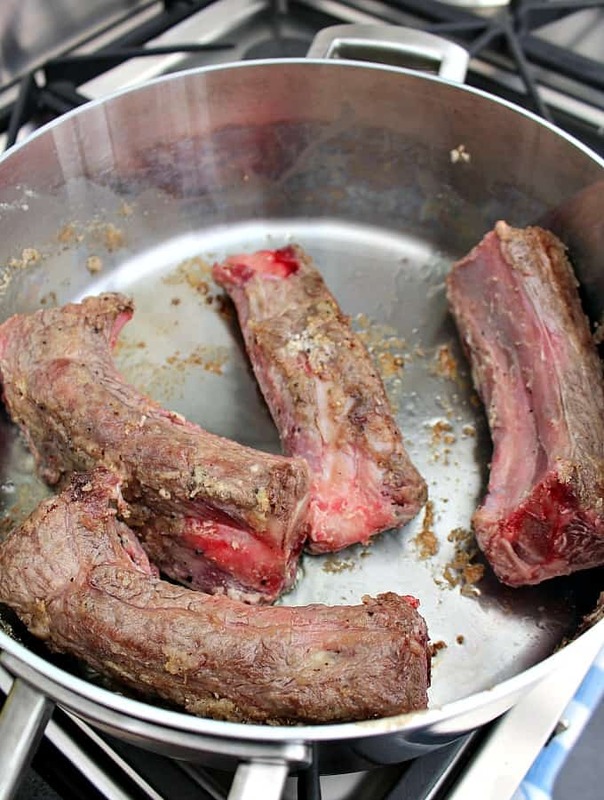 These beef ribs are really easy to prepare. You do need to sautee everything first in order to seal the meat and soften the onions, but here, I’ve used one large pan to do all of this, so you won’t have a lot of washing up to do. 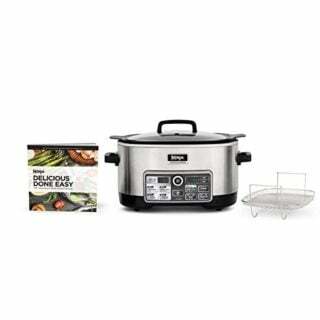 If you’re looking to renew or purchase a new slow cooker, we can recommend this one which is multi-functional, bakes, steams and slow cooks in addition to many other functions! Be sure to check it out! 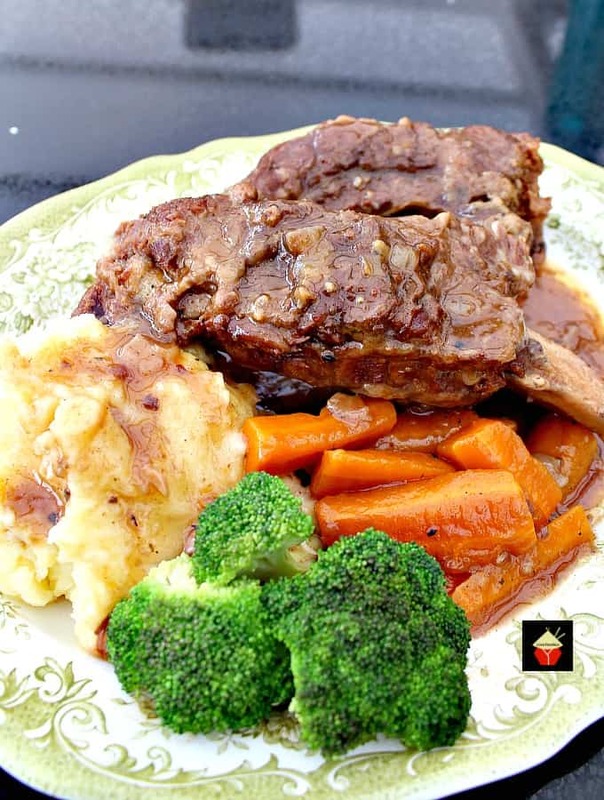 For these best ever slow cooked beef ribs, I’ve served with some of our Creamy Cheesy Mashed Potato and some steamed broccoli. 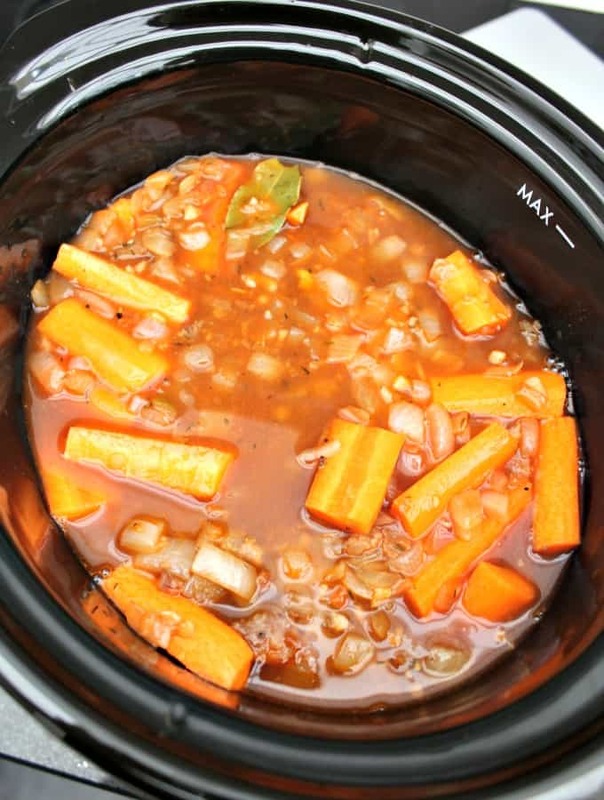 The carrots you see in the photo were cooked in the slow cooker together with the beef ribs to add some extra flavor to the broth. Yummy! 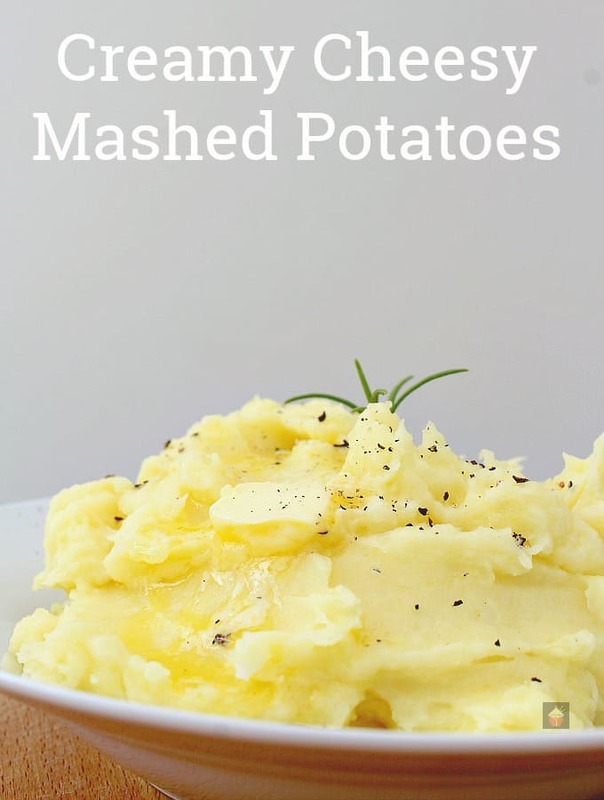 The mashed potato doesn’t take long to make, the recipe gives you a tip if you wanted to make ahead and reheat, so you get it all fluffy and creamy again after it has been chilled. Otherwise, you can make it and serve immediately if your ribs are ready. 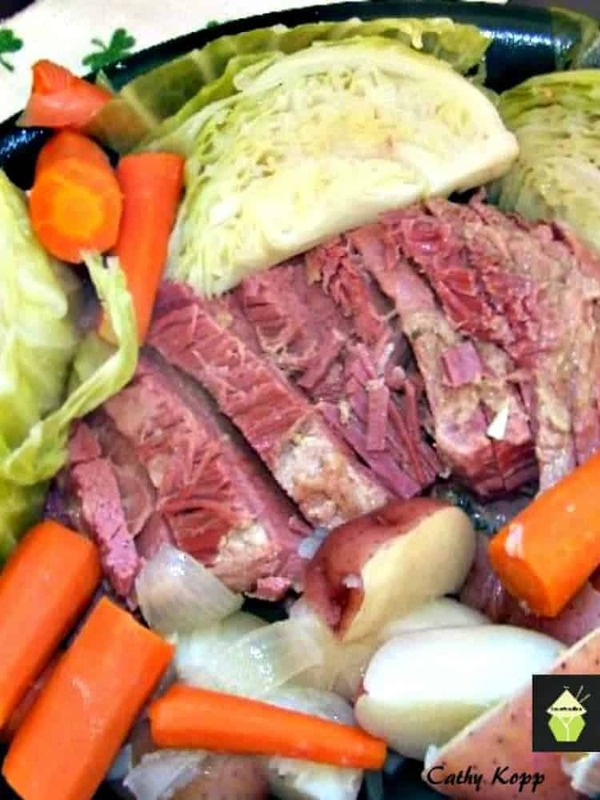 This recipe would be a great meal to make for a weekend dinner if you were going out on a nice long walk on a Winter’s day and came home to the smell of this cooking in your slow cooker. Imagine! You could also make it for a dinner party, have everything prepared and cooking so when your family or friends arrive, you’re not busy in the kitchen. When you and your diners eat a mouthful of this, listen out for the sounds they make. You will get an ‘ooooh’ and a ‘mmmmm’…. and lots more sounds of deliciousness! This really is great tasting! 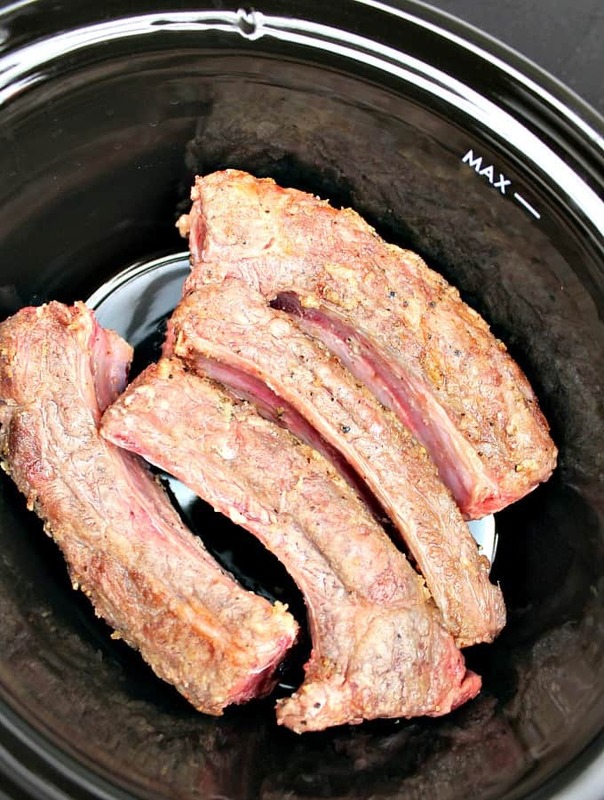 So let’s get straight to the recipe and see how we make this best ever slow cooker beef ribs. Please do enjoy! I’ve added the instructions for pressure cooker at the end too. Place in a large mixing bowl and add the flour, salt and pepper. Toss the ribs and make sure they are well coated with the flour. Transfer any remaining flour to a cup and add a few tablespoons of water. Stir to make a paste and set aside. 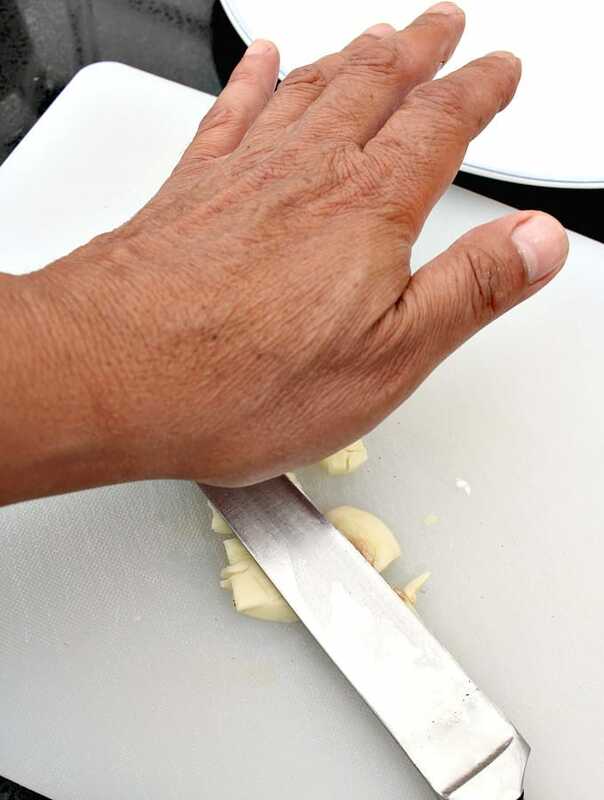 Peel and chop onions, peel garlic and use the back of your knife to crush the garlic and chop finely. 2. In a large pan, add a drop of olive oil and brown the ribs on all sides then transfer to the slow cooker. 3. 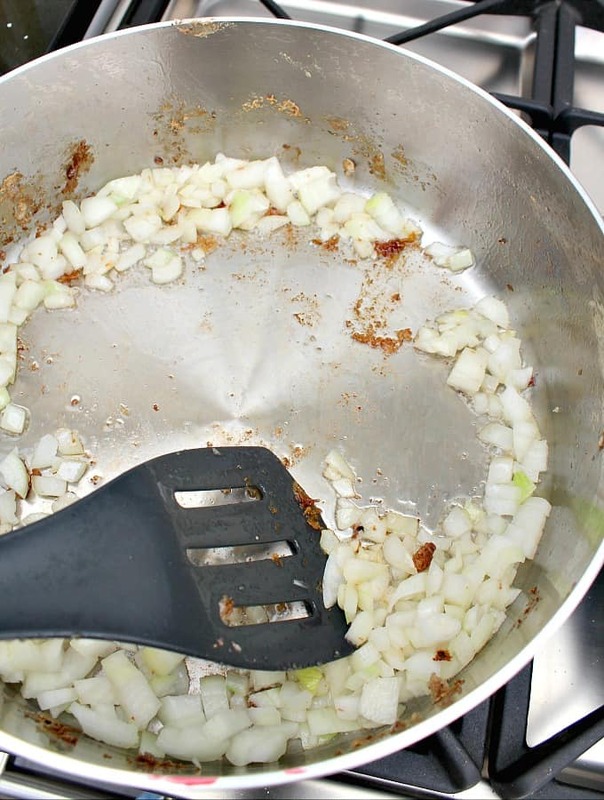 Using the same pan, saute the onions and garlic until soft. 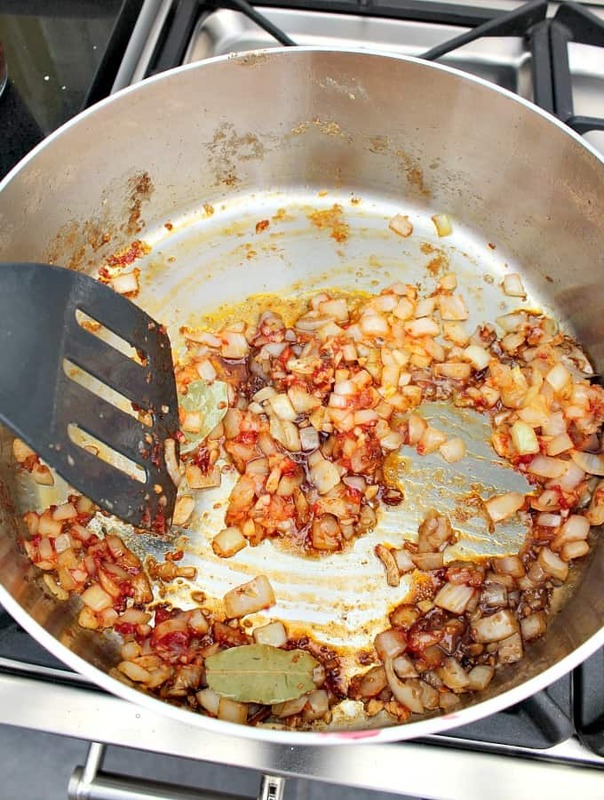 Use a spatula and stir everything, scraping the bottom and sides of the pan to get all the beef residue off. 4. Add the tomato puree, bay leaves, paprika, honey, Worcestershire sauce, thyme and beef stock. 5. Using the flour paste you made, add that to the broth mixture, stir over a high heat until it starts to boil. Add the carrots. Taste if you wish to add any salt and pepper. 6. Transfer the broth mixture to the slow cooker. Place lid on and cook on LOW for 6 hours. 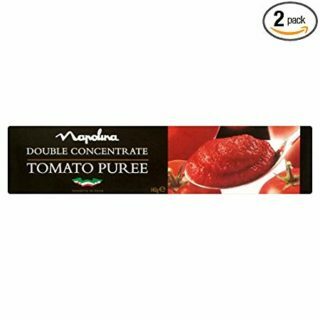 **If cooking this in the oven, transfer everything to a casserole dish and cover. Place in the oven at oven at 300 F or 150 C for approximately 3 hrs. **TIP: 20 minutes before cook time (slow cooker and oven), just have a quick check to make sure the broth is as thick as you would like. if it is too thin, simply mix 1 tablespoon of cornstarch to 1 tablespoon of cold water in a cup and pour that into the broth and stir. this will thicken it when it continues to cook for the remaining cook time. 7. 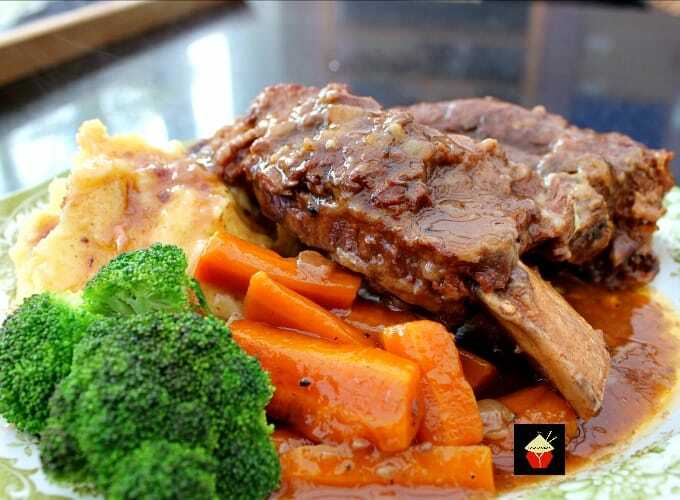 When cooked, serve with some delicious creamy cheesy mashed potatoes and steamed vegetables. *****For those of you who would like to make this recipe in your Multi cooker or Instapot, using the browning setting, saute as the instructions above and then add the broth mixture to the pot. Select HIGH Pressure and cook for 35 Minutes. Release the steam and serve! 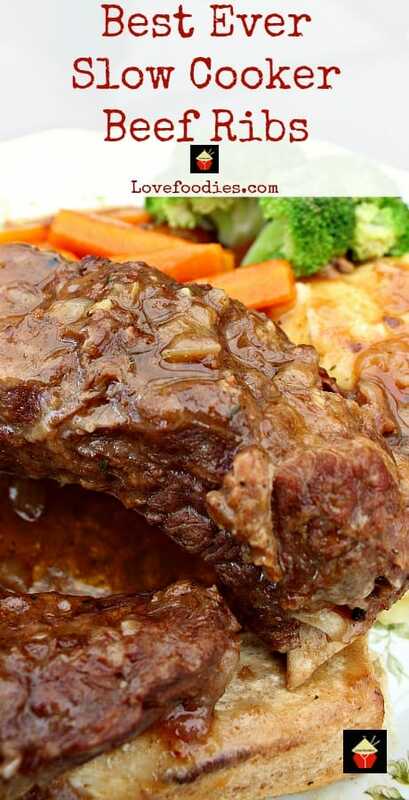 We’d love to hear from you and what you thought of our Best Ever Slow Cooker Beef Ribs recipe. Did you make any changes or add some other goodies? Let us know in the comments below. Thanks for reading and happy cooking! 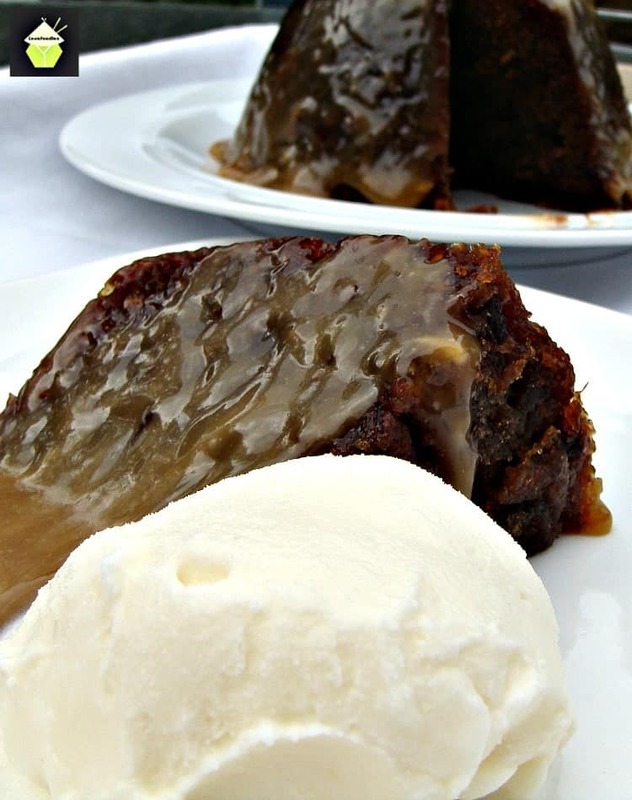 And for a dessert, try our Sticky Toffee Pudding! Delicious! 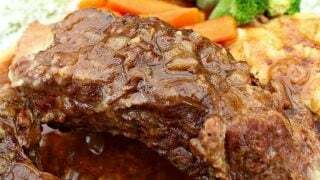 Best Ever Slow Cooker Beef Ribs. 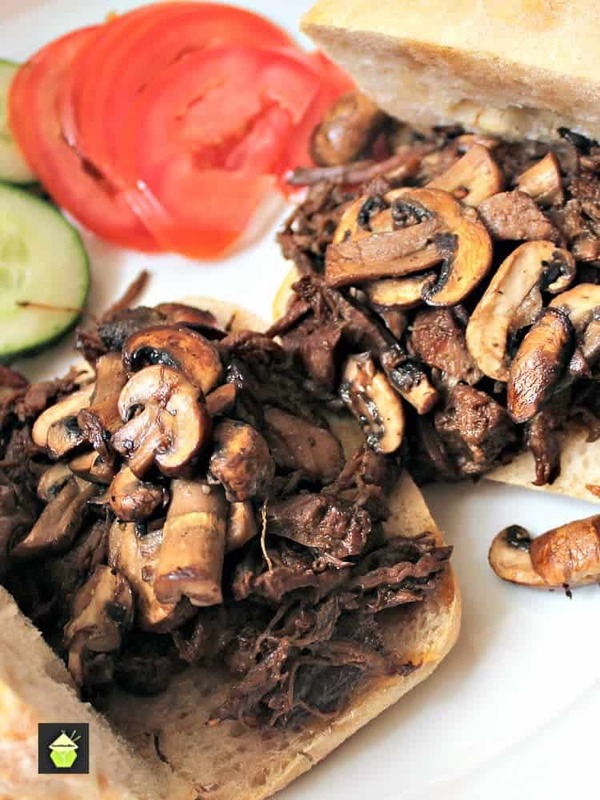 Fall off the bone, tender pieces of beef slow cooked in a delicious sauce and simply melts in your mouth. The flavor is amazing! Wash the ribs. Place in a large mixing bowl and add the flour, salt and pepper. 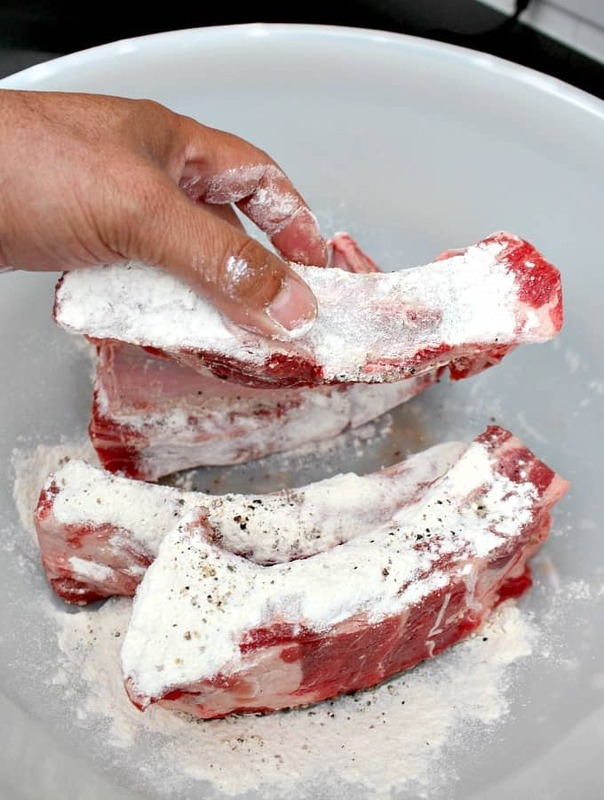 Toss the ribs and make sure they are well coated with the flour. Transfer any remaining flour to a cup and add a few tablespoons of water. Stir to make a paste and set aside. In a large pan, add a drop of olive oil and brown the ribs on all sides then transfer to the slow cooker. Using the same pan, saute the onions and garlic until soft. 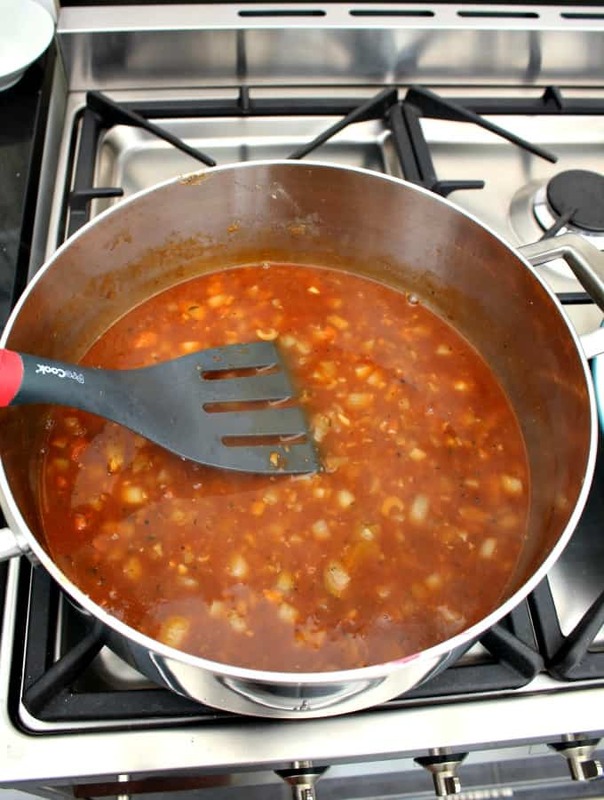 Use a spatula and stir everything, scraping the bottom and sides of the pan to get all the beef residue off. Add the tomato puree, bay leaves, paprika, honey, Worcestershire sauce, thyme and beef stock. Using the flour paste you made, add that to the broth mixture, stir over a high heat until it starts to boil. Add the carrots. Taste if you wish to add any salt and pepper. Transfer the broth mixture to the slow cooker. Place lid on and cook on LOW for 6 hours. 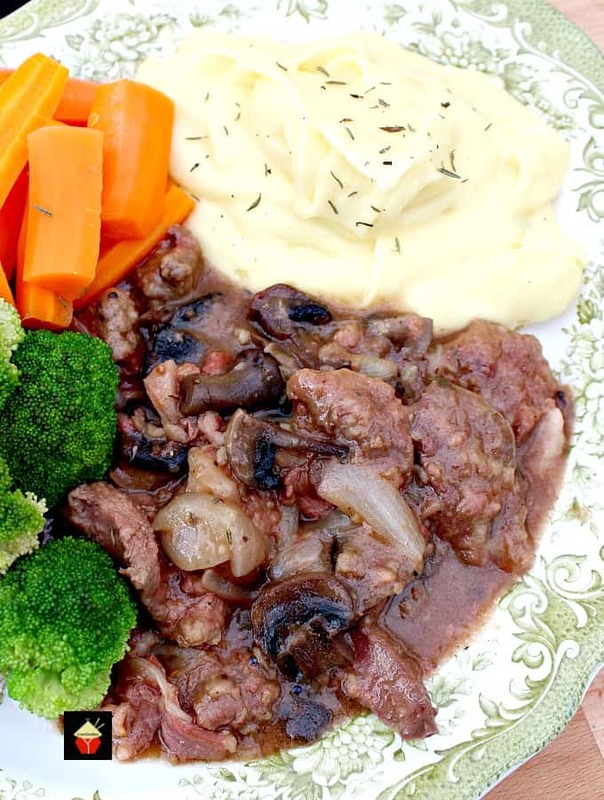 When cooked, serve with some delicious creamy cheesy mashed potatoes and steamed vegetables.